A Very Fresh and Hot Drama is Coming up!!! 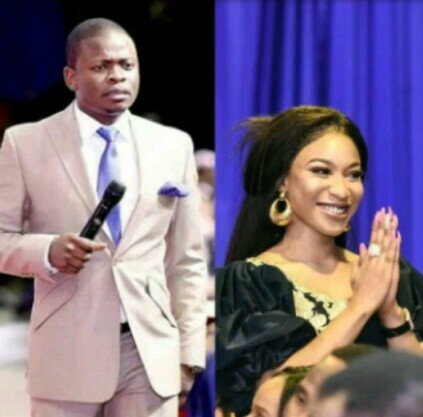 A few weeks ago remember Actress Tonto Dikeh traveled to South Africa for a Church Convention where she visited one of the Flamboyant Pastors in the Country Pastor Shephered Bushiri and she spent some days before returning. Yesterday morning, Tonto shared a photo of the Pastor on her page, welcoming him home, but a Lady just dropped a bombshell on the picture. The lady named Mimi on the Comment section accused Tonto Dikeh of sleeping with the Pastor for 18million naira during that her visit to SA, but that was not the problem, the lady says Tonto has refused to pay, her promoter Lady Golfer who made the connections for her to meet the Pastor. A follower advised Tonto’s Good friend Mamajazz to hold her husband well and to confirm the whole accusations. The Mama Jazz replied the person on the comment section thanking her to the advice.